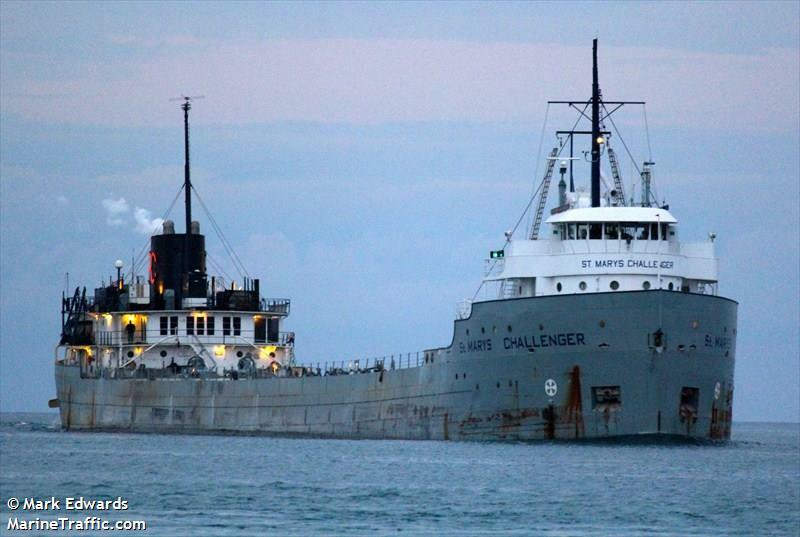 The St. Marys Challenger was a veteran of the Great Lakes. 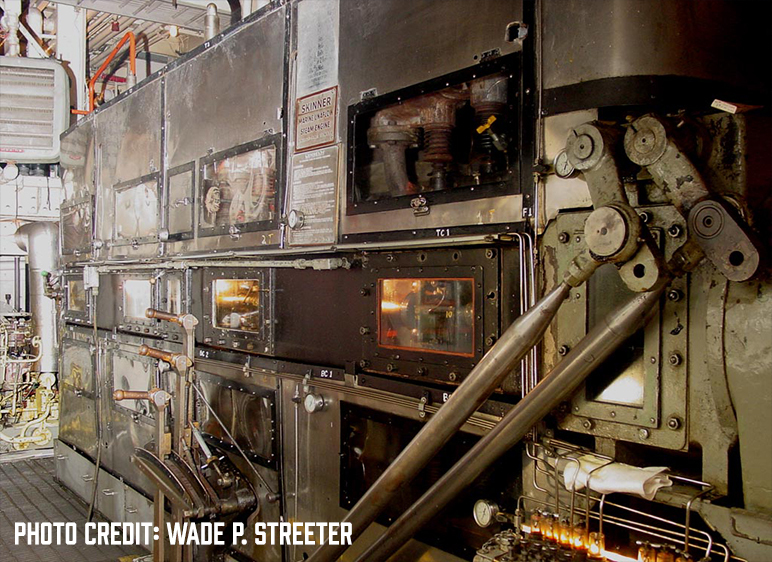 Operating for an unbelievable 107 years when it was finally taken out of commission and converted in 2013. Built by Great Lakes Engineering Works in Detroit Michigan, she first sailed as the William P. Snyder for the Shenango Steamship & Transportation Company in 1906. In June of 1926 the ship was renamed Elton Hoyt II after being purchased by the Stewart Furnace Company out of Cleveland Ohio. She changed ownership again in 1929, being purchased by Youngstown Steamship Company. In 1930 Interlake Steamship Company purchased the vessel, still registered as the Elton Hoyt II. In 1950 the ship was repowered with a Skinner Marine Uniflow steam engine. Still under the ownership of Interlake Steamship Company, the ship was renamed the Alex D. Chisholm in 1952. It sailed as part of Interlake’s fleet until 1966. 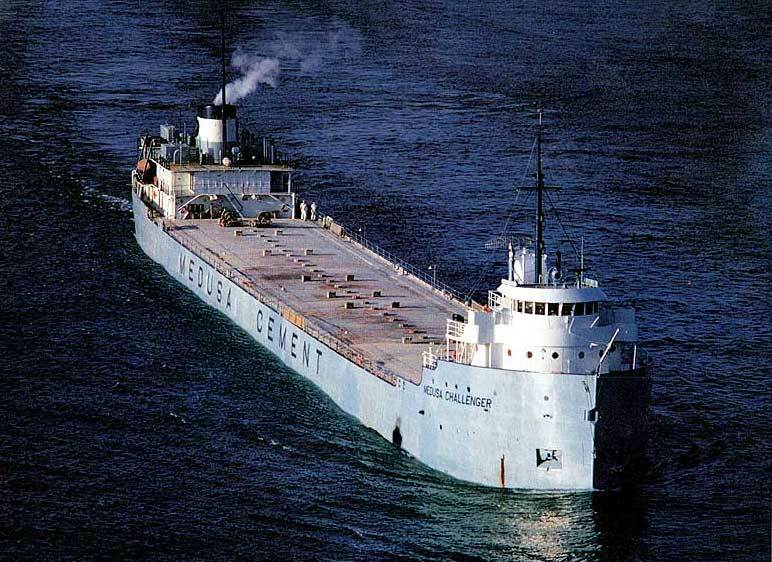 Medusa Portland Cement purchased the ship in 1966 and converted it to a cement carrier. 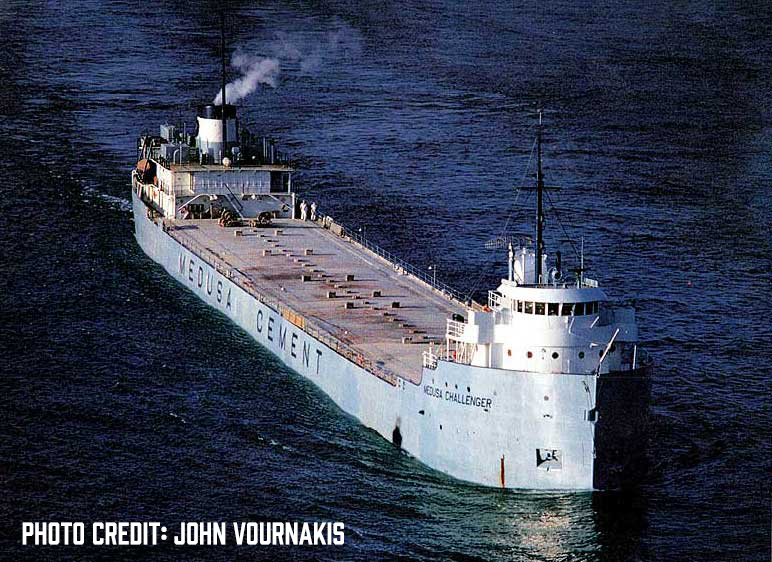 Renamed the Medusa Challenger that same year, the ship transported powdered cement to Chicago, Detroit, Cleveland, and other Great Lakes ports. In 1998 Southdown Incorporated acquired Medusa Portland Cement and the ship was once again renamed. Now registered as the Southdown Challenger. A string of company acquisitions took place in the years that followed with companies and subsidiary’s changing ownership. In 2005 St. Mary’s Cement Incorporated, a subsidiary of Votorantim Cimentos’, who now owned the Southbound Challenger, renamed the ship the St. Marys Challenger. In 2006, 100 years after launching as the William P. Snyder, the ship was still chugging along and would continue to do so until 2013. By 2013 the ship was the oldest operational lake freighter. It had survived collisions with other freighters, concrete docks, and underwater obstructions, rough waters, and even a waterspout. But time was beginning to take a tole on the veteran ship. 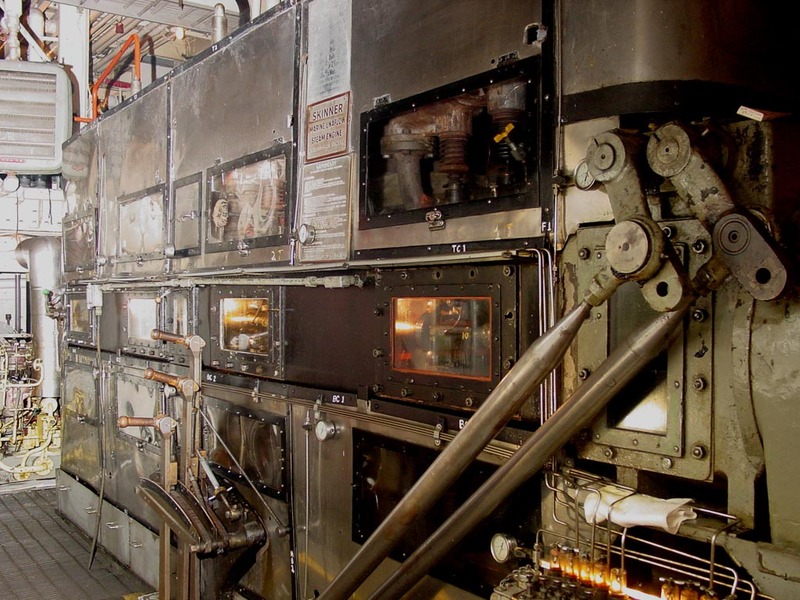 An inefficient fuel system, outdated electrical system, and replacement parts that all needed to be custom fabricated made the cost of operating the St. Marys Challenger immense. A few options where considered to keep the ship in service but all where to costly. The only viable option was to covert the ship into a barge. In 2014 the conversion took place with the stern and propulsion system removed. Additional modifications took place that transformed the 107-year-old lake freighter into a barge. To many this was a sad end to such a veteran ship including us here at Captain Spicer’s. But one must always look at the positives. 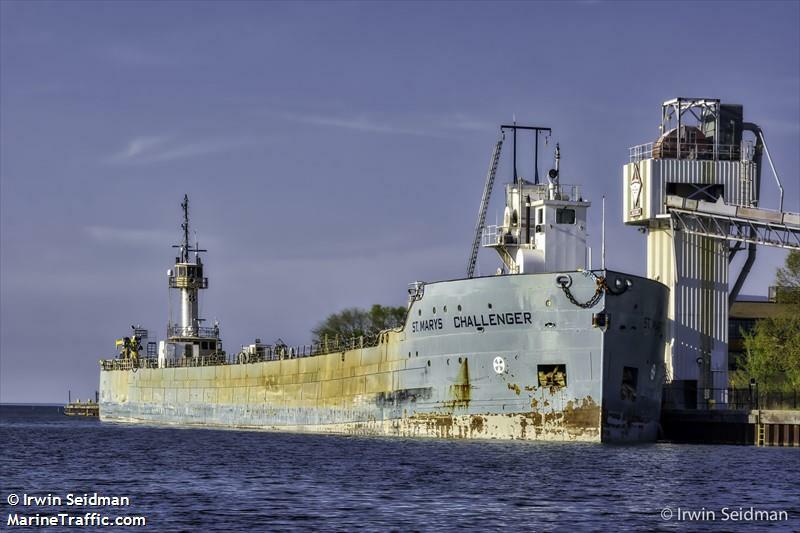 Many ships like the St. Marys Challenger where scrapped in the 1980’s as shipping companies upgraded to newer more efficient vessels. Many more have been scrapped since with recent losses like the MANITOBA. 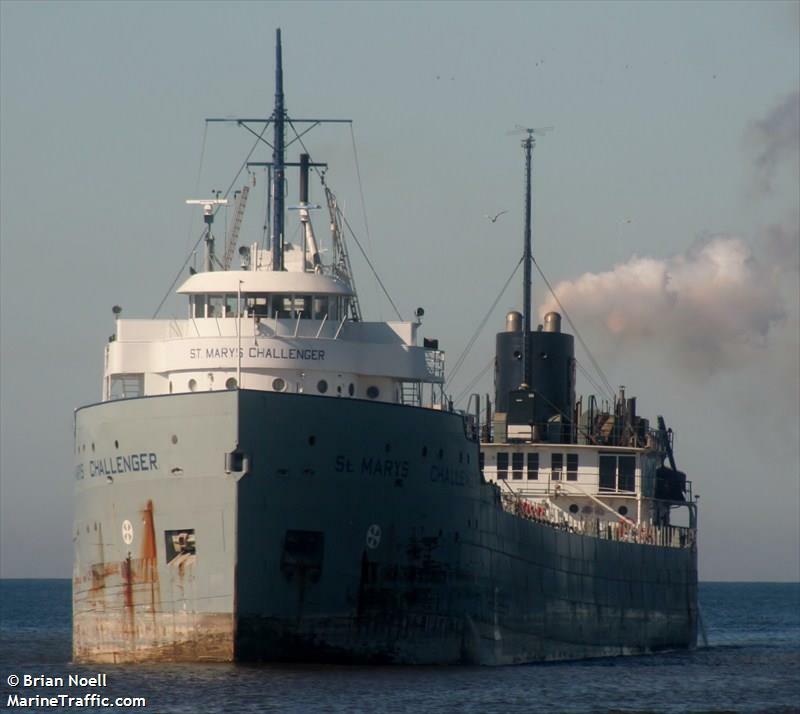 While the St. Marys Challenger is now just a shell of its former self acting as a tug barge transporting cement for St. Marys Cement, its still at least in part, still operating on the Great Lakes! THE IMAGES ARE EXCLUSIVE PROPERTY OF THE PHOTOGRAPHERS.